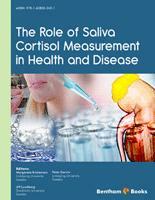 The Role of Saliva Cortisol Measurement in Health and Disease. Introduction - Why This Book? The ability to assess the biomarker cortisol as an index of Hypothalamic Pituitary Adrenal (HPA) axis activity has provided enormous insights about the relations between psychosocial and physical environmental characteristics and the human stress response. Having a reliable and valid index of stress has also proven invaluable in examining the role of stress in mental and physical health. The ability to assess cortisol in saliva samples has opened up vast new areas of scientific exploration, particularly at the borders of social science with public health and medicine. The collection of salivary cortisol is a relatively unobtrusive procedure that can then be analyzed at low cost. It is remarkable that this book on salivary cortisol as a human stress biomarker is authored by a group of scientists from Scandinavia since, along with some prestigious scientists in Germany, much of the pioneering work on neuroendocrine biomarkers of stress has emanated from Sweden and Norway. This volume arrives at an opportune moment with exponential growth in the use of salivary cortisol as a biomarker of stress coupled with remarkable interdisciplinary research on the borders of the social sciences and health. Thus we can ask two key questions about salivary cortisol and scientific research: What have we learned about the utility of salivary cortisol as a biomarker of stress? How should we use this tool to assess emerging scientific questions? Reading this book provides in depth answers to these questions. This book provides a balanced, careful, and thorough review of literally hundreds of studies relating salivary cortisol indices to sociodemographic background characteristics of individuals such as socioeconomic status and gender, psychosocial working conditions (e.g., job control), perceived stress, and psychological resources such as social support. Studies of associations between salivary cortisol and biomarkers of cardiovascular and immune function as well as sleep processes are reviewed along with work on the relations between salivary cortisol and major health outcomes (e.g. cardiovascular disease, breast cancer) as well as mental health (e.g., depression). The authors identified all potentially relevant articles then applied systematic conceptual and methodological inclusion criteria to filter out irrelevant or sloppily conducted studies. They then systematically analyzed the remaining studies, tabling results in a manner that is easy to read and understand. Each table is organized by methods of saliva collection according to variables of interest (e.g., sociodemographic background, disease outcomes). The results of hundreds of studies are then discussed within each topic area taking into account the patterns of findings and implications for measurement and theory. As the reader will be able to see herein, the quality of data and the clarity of conclusions about salivary cortisol as a stress biomarker vary considerably because of measurement protocols, statistical and methodological controls, and important conceptual issues having to do with static versus dynamic measures and inter versus intra person comparisons. The authors have done all of us who are interested in the interplay among environment, personal background, stress, and disease, a marvelous favor. They have extensively and accurately reviewed what we know about salivary cortisol as an index of human stress. The authors have provided direction as well for how future research on salivary cortisol as a biomarker of stress should proceed. This book is based on a combination of fascination and frustration; fascination on the wish to use saliva cortisol measurement because of its many advantages but frustrations over opposing results in the literature. Several discussions at different meetings led to the development of a network of researchers from Sweden, funded by the Swedish National Research Council. This network was soon expanded to also include colleagues from Norway and Denmark. Thus, this was a Scandinavian network working on measurement of Cortisol and the name ScanCort was taken. The main aim of the group was to try to understand the results from different studies on saliva cortisol measurement and thereby better understand how and when saliva cortisol assessment best could be made. A hypothesis was that, seemingly, divergent findings could be effects of differences in the theoretic assumptions made and methods used. This led over to a decision to perform a literature review focusing on if the many different ways of evaluating the levels and dynamics of salivary cortisol especially with regard to time points of assessment and analyses of data affect the interpretation of cortisol measurement in various contexts. The literature review was, of course, more work than expected but it was also a very exciting learning experience! We are grateful for the economic support given by Swedish National Research Council. We thank Gary W. Evans for being insightful, constructive and generous by reviewing all chapters and Lorna O'Brien for skillful language control. As editors we thank all colleagues in the ScanCort group for an unforgettable time together, for stimulating discussions and hard work. My specific thanks goes to my two co-editors professor Ulf Lundberg and PhD Peter Garvin for their work, enthusiasm and friendship. We do hope that this book will be of use for all those who are involved in the challenging but fascinating field of stress research and want to use saliva cortisol measurement. We do believe that this can be a useful biomarker in many settings, if caution is taken in the choice of methods used.